Retin A has a long reputation for effectively treating acne conditions, and is now popular in the skincare world as an anti-aging solution. While this converted form of vitamin A provides many benefits to the skin and the maintenance of healthy skin cells, Retin A has not been proven to shrink large pores, but for good reason: the literal reduction of pores is not possible. The visibility of pores, however, is manageable, and Retin A can play a part in that. Tretinoin is the generic name for Retin A. Retin A is the active metabolite of vitamin A, thereby providing multiple benefits to the skin. It triggers the functioning of skin cell molecules, called retoid receptors. The triggered functions expedite natural cell processes, including cell growth and regeneration, collagen and elastin production (crucial for healthy, youthful skin) and cell vitality. Retin A also can combat the enzymes that cause collagen and elastin breakdown. It was originally developed and used to treat acne problems, particularly excessive whiteheads and blackheads. Since its anti-aging results were discovered, Retin A has been used to reduce the appearance of fine lines and wrinkles, and to treat skin dryness and roughness, since it increases the thickness of the surface skin layers. Its effect on the pores is merely connected to these benefits, so it is not marketed as a "pore reducer." Pores populate the skin surface as the openings of oil glands, sweat glands and hair follicles. Visibly large pores can attribute to a dull and uneven complexion, a common skincare complaint. Skincare products are effective for cleansing and exfoliating the skin, yet no matter the regimen, age or skin condition of a person, genetics are the main determinant of pore size. The pores can be visibly enlarged by external factors and poor cleanliness, but the truth is that pore size cannot ever shrink, regardless of product promises. Products can, however, create the illusion of smaller pores. This is achieved by creating a swelling effect on the skin, healthy skin tissue and skin cell regeneration. Genetics and the natural aging process are major determinants of pore size, but other extrinsic factors affect the largeness of pores. Acne often results in stretched-out pores, since the bacterial and oil buildup clogs the pores and forces them to stretch. Similarly, oily skin negligent of sufficient cleansing leads to clogged pores, which gape with trapped residue. The chin and cheeks are problematic for pore visibility, but the nose, since it protrudes from the face, can seem to magnify large pores, in addition to being a main site for oil and dirt buildup. 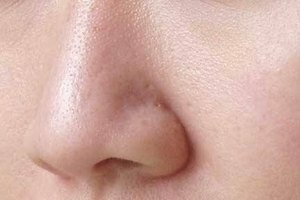 The nose is prone to pimple accumulation, especially blackheads, and excessive squeezing of pimples causes the pores to stretch. 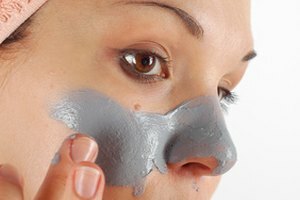 Retin A has two functions that seem to shrink pores. First, it cleans out dirt and oil buildup, clearing the pores. 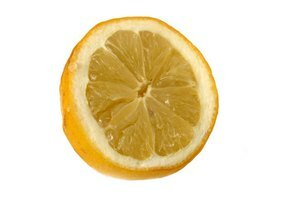 This is the main reason it is used for acne treatment. Second, it sloughs off dead skin cells and promotes new cell generation in the surface layers of the skin. The new cell growth produces healthier, plumper cells, with improved elastin and collagen production in the surface layer of the skin, creating the visible effect of smaller pores. This is why so many users claim that their pores shrink when Retin A is incorporated into their daily skincare. Because Retin A has such a dramatic impact on the skin, consult with a dermatologist before incorporating Retin A into your skincare regimen. Retin A can cause skin irritation and make the skin more sensitive to the sun. Retin A used in conjunction with alpha hydroxy acid-based products requires caution.